Western foreign ministers attending Iran nuclear talks unexpectedly stepped away from negotiations today and will leave Vienna. Secretary of State John Kerry will go to Paris. The State Department said he will be consulting with allies. It is not yet determined when he would return to Vienna. The British and French foreign ministers will also return to their capitals. The Iranian delegation originally said that Foreign Minister Javad Zarif would also leave for Tehran for consultations. But in an apparent change of plans, Zarif cancelled his trip and will now stay in Vienna. Iran's official news agency IRNA said Zarif did not have a proposal from the West good enough to go to Tehran for decision making. UPDATE: AFP reported that Kerry pulled back from the talks to leave Zarif pondering an apparent new proposal by Washington meant to bridge differences standing I a way of a deal. He would travel back to Vienna if enough progress is made. 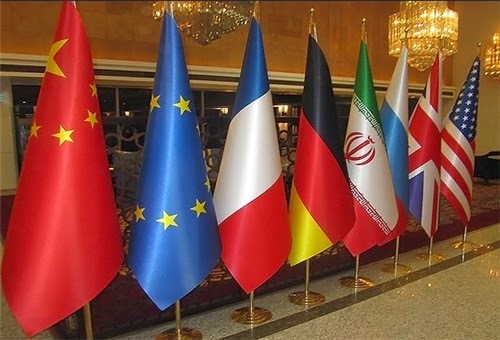 UPDATE: Reuters quoting Western officials involved in negotiations said the talks might be extended from Monday until March due to sharp disagreements still existing between Iran and the West. UPDATE: Kerry and other foreign ministers will not leave Vienna after all. The situation appears to be completely in flux. UPDATE: Omani FM reportedly arrived in Vienna Friday night, not certain if he had a direct message for Kerry form Tehran.